A queen bee surrounded by attendants. The leader of a clique of girls may be called the "queen bee.". 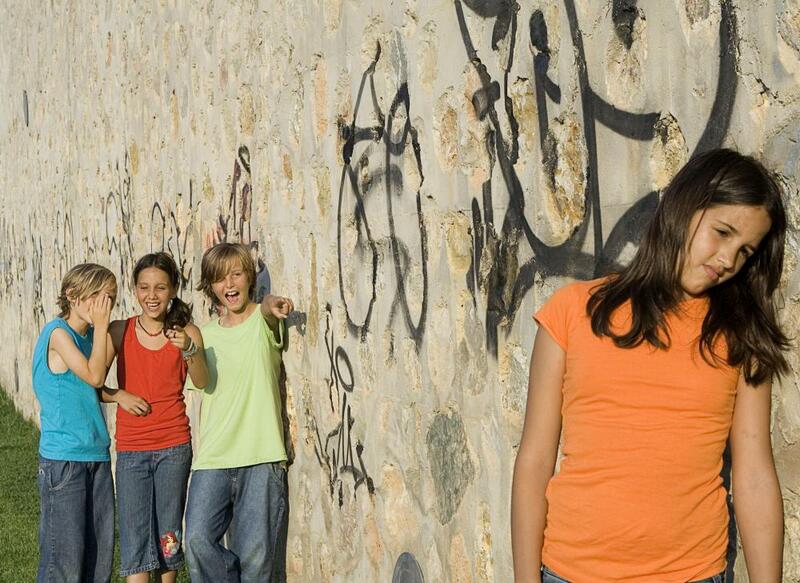 Girls often bully in groups. Girls may not feel included in certain groups. Dealing with girls and bullying is difficult both from an adult and youth perspective. Parents, teachers, and other concerned adults may not know if bullying is occurring or how to stop it, and girls may feel powerless in the face of bullies. There are many tips to deal with girls and bullying, but the best overall strategy is to promote communication and honesty in relationships. For girls who experience bullying, being unafraid to ask for advice or help can be the difference between bullying that hurts and bullying that can be brushed off. Many people believe that girls and bullying is a major problem because of the way in which bullying typically occurs in female social groups. Whereas men might physically bully one another, women are assumed to bully in primarily social or psychological manners. This is, however, a major misconception in many cases. Women can spitefully and directly bully one another without any of the social subtleties usually ascribed to women. Even so, taking all forms of torment seriously is important when dealing with girls and bullies. Addressing the specific context of the bullying is important when trying to help girls with this type of problem. Situations that can be particularly problematic involving girls and bullying often take place when the victim is exposed to the opinions of a large group of people, such as at school or online. Creating supportive environments and establishing boundaries in these contexts can help avoid the negative effects of bullying. When a girl is being terrorized by a bully, she may feel that she has nowhere to turn for help. Bullies can make a victim feel as though the victim’s friends and relations will be unsympathetic to the predicament. As such, one of the best tips for dealing with girls and bullying is to maintain an open line of communication with the girls in one’s life. If a person suspects that his child is a bully rather than a victim, reprimanding the child and explaining why the behaviors are hurtful is in order. Communication can prevent both queen bee aggression and fears of bullies. Each individual girl who is bullied needs different kinds of help depending on her personality and the type of bullying occurring. Thinking about what each girl needs to be told in an individual way is usually the best way to deal with girls and bullying. It is generally not wise to confront the girl who is doing the bullying directly unless it is physically dangerous or the victim is relatively young. Teaching girls that they cannot help themselves or stand up for themselves by stepping in and resolving the situation does nothing to prevent future bullying and only serves to infantilize young women who, when provided with emotional support, would be able to handle the situation by themselves. What are the Ways That Girls Bully Girls?